A website called Your News Wire posted an article five months ago about the success of a charter school in Florida that ditched the Common Core curriculum and decided to focus on the principles of classical education to teach its students. I am not familiar with the site, so I went to the school’s website and starting reading. The information in the article at Your News Wire article was also posted at The Freedom Project in June. The Hillsdale College Barney Charter School Initiative has deliberately taken a classical approach to education. By “classical,” we mean a form of education that could be called classical, civic, and liberal but in the school reform movement these days most often goes by the designation “classical.” Some might call it “conservative,” but we prefer the term “traditional.” That is, we adhere to an ancient view of learning and traditional teaching methods. Such a choice might at first seem paradoxical or even out- of-touch with reality. Why, at the beginning of the twenty-first century, in the age of the internet, in a country that has long been addicted to the revolutionary and the novel, when almost everyone in the world of K-12 education is singing the chorus of “critical thinking skills for a twenty-first-century global economy,” should cutting-edge schools root themselves so deeply in the past? Is not newer always better? What could today’s young people learn from old books? We must answer these questions clearly from the outset. Classical education has a history of over 2500 years in the West. It began in ancient Greece, was adopted wholesale by the Romans, faltered after the fall of Rome, made a slow but steady recovery during the Middle Ages, and was again brought to perfection in the Italian Renaissance. The classical inheritance passed to England, and from the mother country to America through colonial settlement. At the time of this nation’s founding classical education was still thriving. Jefferson heartily recommended Greek and Latin as the languages of study for early adolescence. One of the Founding Fathers’ favorite books was Plutarch’s Lives of the Noble Greeks and Romans. Eighteenth- century Americans venerated and trusted George Washington in large part because he reminded them of the Roman patriot Cincinnatus. So important has classical education been in the history of the West that it would only be a slight exaggeration to say that the march of civilization has paralleled the vibrancy of classical schools. Unlike the old classical schools, today’s classical schools do not make the medium of instruction Latin and Greek (though to be classical they must require the study of Latin at some point). Nonetheless, the Hillsdale-sponsored charter schools will remain classical by upholding the same standards of teaching, of curriculum, and of discipline found in the schools of old. Indeed, in these schools English will be taught using methods derived from centuries of teaching and learning the classical languages. Hillsdale thus takes stock in the tried and true rather than in the latest fads frothing forth from the schools of education. So what can we learn from this? It really does not pay to try to reinvent the wheel. Classical education works–Common Core does not. 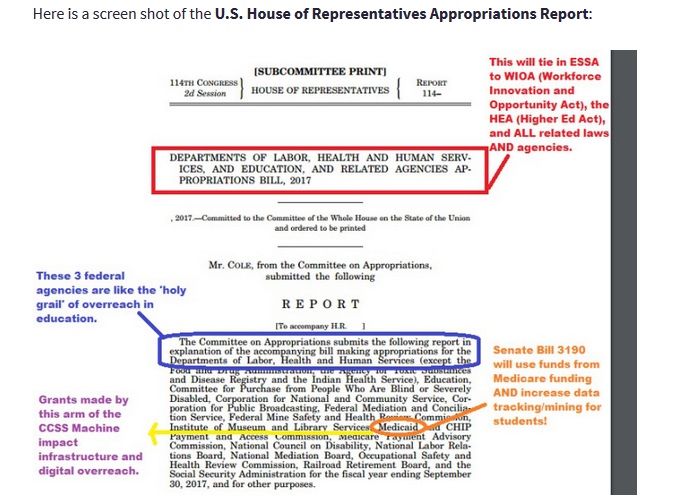 We have been sold a bill of goods in regard to Common Core. Common Core puts our children in boxes they may not belong in and collects data that no one has any business collecting. The one thing it does not do is teach our children critical thinking skills and prepare them to live in the real world. The test results of Mason Classical Academy clearly illustrate what works in education. Now we need to pay attention to the facts and begin actually educating our children. A.P. Dillon at American Lens is reporting today that a bill has been proposed in the North Carolina House of Representatives to accept the findings of the Academic Standards Review Commission (ASRC) and get rid of Common Core. I attended most of the ASRC meetings. I was at the meeting where the findings of the Mathematics and English Language Arts Committees gave their results. What I witnessed was the total perversion of the purpose of the Commission. On December 30, 2015, I posted a letter from a member of the Commission who did not agree with the final actions of the Commission. I have also posted other information and letters about the Commission. You can access those by using the search engine on this website at the top of the page and putting in “ASRC”. It became obvious in the final ASRC meeting that the Commission was set up to maintain the status quo of Common Core. Representative Larry Pittman has introduced a bill to get rid of Common Core and has aptly named it, “Actually Get Rid of Common Core.” The Primary sponsors joining Pittman are Representatives Speciale, Ford and Boswell. House Bill 417 seeks to replace Common Core with the recommendations that the ASRC had originally proposed and then killed in their last meeting. …The Academic Standards Review Commission (ASRC), which was created by a bill whose title said the ASRC was being created to REPEAL AND REPLACE COMMON CORE, was actually stacked against fulfilling that purpose. Common Core was not repealed and replaced. It was merely renamed and slightly tweaked. This bill would correct that by requiring that the proposed math standards offered by the Math Work Group of the ASRC actually be adopted, and that the English Language Arts standards offered by Dr. Sandra Stotsky to the State, free of charge, be adopted. …The bill passed its first reading on March 22nd and has been referred to the Committee on Education – K-12. The idea of explaining mathematical principles to students at the elementary level (as Common Core did) is valid, but to demand cumbersome solutions to simple addition problems took all the joy out of learning mathematics for these children. It will be wonderful to see that corrected. This bill is definitely a step in the right direction. I guess I just don’t understand how this works–how is it legal to use Medicaid funds for education. Please follow the link above to read the entire article. The government overreach into our children’s minds is frightening. Parents need to wake up and see what is happening to our schools. Our children are not being educated–they are being indoctrinated and physiologically manipulated into becoming compliant citizens. 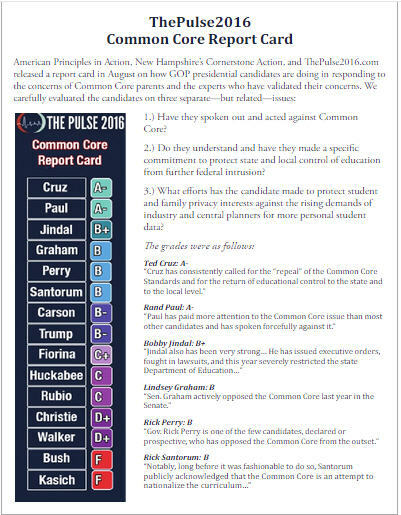 Please carefully check your candidates to see where they stand on Common Core and the government takeover of education. One of the problems with Common Core is the data mining. There are some very intrusive questions asked of young children about their families (does anyone in your house own a gun? what religion are your parents?). This data is collected (along with data predicting the success of your child in future years). The law allows videos of your child to be taken and stored in ‘the cloud.’ The proponents of Common Core have always gone out of their way to assure parents that this data is secure and cannot be accessed by anyone not entitled to access it. They also have overlooked the fact that the data will follow the child from kindergarten through five years into the workplace. Saivamsi Hanumanthu, 17, of Pilot Hill Drive in Morrisville, was charged with felony accessing government computers, felony breaking and entering and misdemeanor accessing government computers. He was released on a unsecured $15,000 bond to the custody of his parents. Cary police began investigating unauthorized access to Panther Creek High’s computers on Oct. 13 and later determined that the system had been hacked into several times and that student grades had been changed. Wake County school officials discovered that an email sent from one Panther Creek High teacher to another a few days before the initial hacking contained keystroke-tracking malware, according to a search warrant in the case. We either need dumber high school students or smarter computers. I’ve noted a lot of issues with Powerschool since it was implemented both here and in other states. I’ve also noted issues with other Pearson products. Everything from the system going down to wiping out entire gradebooks, and from delayed report cards to DDOS attacks. Now we have a high school student getting into it multiple times to change his grades. Small wonder Pearson sold Powerschool last year to Vista Equities. NC went with the very pricey Powerschool because of the established relationship with Pearson, now they’ve sold it off. As a point of interest, as an elementary parent, three years after Powerschool went live I still don’t have access to it, which is arguably a FERPA violation. Another reason to get rid of Common Core. NEW YORK – I’m a photographer. This is my daughter…and this is the first photo of her that I have ever hated. You may have already seen this image today. I posted it this morning on my business page and after returning from a session out in Syracuse, it has been shared over 400 times. I want to take a moment to explain this image so as those who do not know me, can understand how this image came to be. My daughter is incredibly strong. My daughter is a 4-year cancer survivor. She is a fighter with a resilient spirit. It crushes me to see her cry; to see her struggle. My daughter deserves a happy childhood. Today I attended the North Carolina Academic Standards Review Commission meeting in Raleigh. This is the Commission that was set up to evaluate Common Core in North Carolina. It was the final meeting of the Commission and their assignment was to finalize their report of findings and recommendations to the North Carolina State Board of Education by December 31, 2015. Initially the Commission was not funded, but midway through their investigation they received funding. The Commission formed two Subcommittees–one for English Language Arts and one for Mathematics. 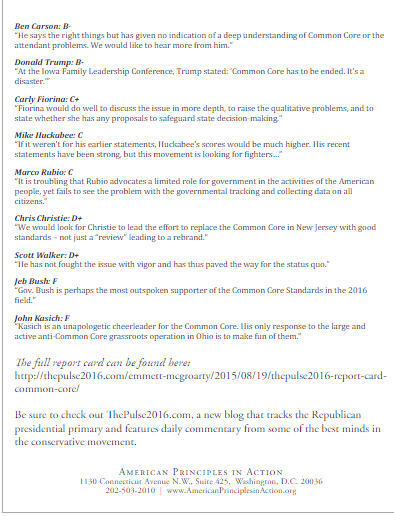 They listened to a number of experts speaking both for and against Common Core. Somewhere between the listening and the writing the recommendations, the Commission forgot what they had heard. 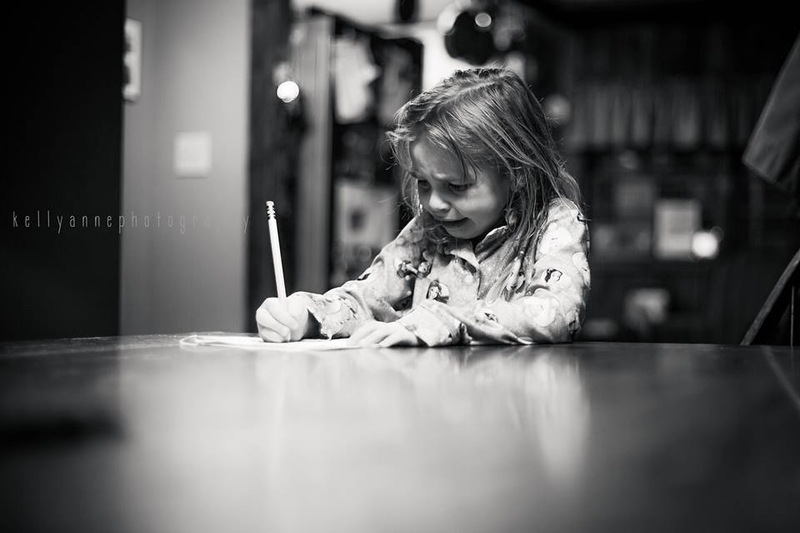 Efforts to implement the CCSS have resulted in a poorly sustained ELA curriculum. A clear example is demonstrated in the lack of time available for systematic K-12 writing instruction. English Language Arts teachers are primarily responsible for the informational text standards. Several teachers suggested that all teachers, regardless of content, share the responsibility for teaching informational text. North Carolina’s K-8 mathematics standards are unclear and include numerous typos, errors, and mathematical mistakes. The North Carolina K-8 mathematics standards specify that teachers frequently use models. However, as evidenced by numerous published examples and parent complaints, some teachers make computations with models into monstrously complex exercises that parents and students cannot understand. In addition, these teachers require students to master these computations in contradiction to the NCDPI policy of letting students use any method they know. The working draft of the Commission includes a realistic detailed account of many of the problems with Common Core. Assuming that draft stays available to the public, parents can read it to confirm their own observations. In order to have world-class standards, all of the topics recommended by the National Mathematics Advisory Panel (NMAP) for the high school mathematics sequence should be included in the North Carolina standards. In addition, the following recommendations are offered for grades K-8 and high school mathematics. Adopt the Minnesota standards, which may require some editing to fit North Carolina’s needs while meeting the NMAP benchmarks. The revision process should include experts in childhood learning and development, a few university faculty, and a significant number of experienced North Carolina teachers with reputable success teaching K-8 mathematics. The State Board of Education, instead of NCDPI, should choose this committee because some members of NCDPI have extensive connections with the national common core group. Note the last sentence: The State Board of Education, instead of NCDPI, should choose this committee because some members of NCDPI have extensive connections with the national common core group. The mathematics subcommittee was blindsided as both of these recommendations were voted down by the Commission. It became clear that the serious efforts put forth by Dr. John T. Scheik and his subcommittee were intentionally being ignored. The original mathematics subcommittee recommendations were gone and only the watered-down, toothless recommendations previously designated for the English standards were left. The money and connections behind Common Core have temporarily won the day, and the school children of North Carolina have lost (at least temporarily). If you are a parent or grandparent of a child in North Carolina schools, please note the following: If you do not get involved in the movement to end Common Core in North Carolina, your child or grandchild will not get the quality of education that you should be able to expect. It is now up to parents and grandparents to become involved. Your children’s future depends on it. As anyone who regularly reads this blog is aware, I am involved in the fight against Common Core in North Carolina. There is a better plan, the North Carolina Education Plan, that would better suit the students of North Carolina–it will encourage critical thinking and improve both their reading and mathematics skills. Common Core is a one-size-fits-all group of standards that is heavily funded by the Bill Gates Foundation and supported by the political class in Washington, D.C. Bill Gates himself has stated, “It would be great if our education stuff worked, but that we won’t know for probably a decade.” The father of Common Core is the “No Child Left Behind” Law which moved a large part of education in America under the control of the federal government. Just for the record, the federal government does not have the Constitutional right to control local education. Well, No Child Left Behind has morphed into the Elementary and Secondary Education Act, now before Congress. On Thursday, Truth In American Education posted an article about the Elementary and Secondary Education Act (ESEA). Because the reauthorization of the Elementary and Secondary Education Act (No Child Left Behind) will be the largest piece of federal education legislation Congress will pass in over a decade, Speaker Paul Ryan (R-WI) should allow the bill to be made publicly available for at least 60 days before the House considers it. The bill is not scheduled to be made publicly available until November 30th. Thus, a vote should not be scheduled until late January. Currently, it is scheduled for December 2; two days is clearly not sufficient. House members will be forced to vote on a bill they haven’t read. The American people expected a new style of leadership under Speaker Ryan, not more of the same. If he allows a bill of this magnitude to become law without adequately vetting its merits and faults, it will affirm that the same ills that plagued Congress under Speaker Boehner remain fully intact. Transparency is obviously an issue here, but there are other issues. The new bill is hundreds of pages longer than either prior version. It contains new programs that weren’t in either prior version. Very complex language that is unclear. This means the US Depart of Education will have tremendous leeway to interpret it to the advantage of the federal government. Because it has discretion over how to administer the law, unclear language makes it easier for the US Department of Education to justify and make decisions to place requirements on the states through its rule-making authority. Education needs to be under local control. Admittedly, every student in America needs to learn basic English and Mathematics, but different areas of the country have different educational needs beyond that. Americans are individuals, we need to have an education system that educates individuals. One size does not fit all. One thing that could really help the federal budget would be to get rid of the Department of Education on the federal level. In 1953, the Department of Health, Education, and Welfare became a cabinet-level agency of the U.S. government. In 1979, Jimmy Carter created the cabinet-level Department of Education. In 1979, the Office of Education had 3,000 employees and an annual budget of $12 billion. When the Department of Education was created, it had an annual budget of $14.2 billion and 17,000 employees. According to the government Budget Office, the U. S. Department of Education currently administers a budget of $67.1 billion in discretionary appropriations. I truly think it is time for them to go away. I also think it is time for Speaker Paul Ryan to live up to his promises about transparency. I have been to most of the Academic Standard Review Commission (ASRC) meetings in the past year. I have listened as the committee went over the same territory multiple times and unsuccessfully attempted to reinvent the wheel. It is a shame that they are wasting so much effort when the wheel has already been invented and is pretty much free for the asking. The North Carolina Education Coalition has created the North Carolina Education Plan (NCEP) based on successful standards used in other states. The standards in the North Carolina Education Plan have been endorsed by Dr. Sandra Stotsky and Dr. James Milgram, two people who worked on the Common Core standards but were so unhappy with the final product that they refused to endorse it. While the ASRC is reinventing the wheel in Raleigh, other states are examining the NCEP with a view toward implementing the plan. The NCEP is based on standards with proven results. We won’t truly know the results of Common Core for another ten years; and frankly, the initial test results are not encouraging. Meanwhile, in North Carolina, the head of the Department of Public Instruction is an elected position. That position is currently held by Dr. June Atkinson, a very nice southern lady who strongly supports Common Core. It is assumed that Dr. Atkinson will run for another four-year term. However, there is another, very interesting candidate in the race. To extend her stay in Raleigh, ol’ June (Atkinson) will have to slip past Dr. Rosemary Stein of Burlington. Stein, a Republican, has been a vocal opponent of Common Core AND ObamaCare. (She starred in a national advertisement critical of ObamaCare.) Her issue positions include support for phonics education, for increased parental involvement, and for classical education. Her position on English as a Second Language courses (ESL) will surely play into the current debate about immigration and amnesty. She traveled as a child to Canada to enroll in a French-only school. She mastered the language via immersion, and believes this is a much better route than the current policy of yanking kids out of regular classrooms for special ESL sessions. Dr. Stein comes from a long line of teachers and school administrators, and is a trustee at Alamance Community College. She and her husband run a pediatric practice in Burlington. Dr. Stein is what we need to ensure that the children of North Carolina get a good education. As a pediatrician, she is involved with children and parents on a regular basis. This gives her a clear understanding of the issues in our schools. It also allows her to understand some of the problems in Common Core related to age-appropriateness of the material. If you live in North Carolina and are concerned about your children’s education, Dr. Stein is a good choice to bring a new vision into the Department of Public Instruction. I apologize for the small print, but I am not enough of a techie to know how to make it bigger! Yesterday the Academic Standards Review Commission (ASRC) met in Raleigh. Jerry Egolf presented the North Carolina Plan (an alternative to Common Core which is less expensive than Common Core and has its origins in the Greensboro Plan). The North Carolina Plan would bring our schools up to some of the highest standards in the nation–it includes parts of the Greensboro Plan, Massachusetts (before Common Core), Minnesota’s math programs, and California (before Common Core). It would be a wonderful alternative to Common Core. Yesterday was the June meeting of the Academic Standards Review Commission (ASRC), which is tasked at reviewing the Common Core standards in order to give replacement recommendations to the State Board of Education at the end of this year. Local media was on hand for yesterday’s event, as it included public comment from parents. Well, it was supposed to be parents. Near the end, the NC PTA President, Donald Dunn, jumped in. “Amy Wilmoth attended with her son Reeves. She made the decision in February to pull her 9-year-old son from Mangum Elementary School in favor of a home school online curriculum with Liberty University; however, they remain conflicted. I attended the event and also spoke as a parent of a Wake county student. Around 15 parents spoke; only three spoke in support of the standards. I’ll have more on this testimony from the supporters once I compile my notes and finish some research on some of the attendees. I live-tweeted the event, which can be read on Storify. On Thursday the Daily Haymaker posted an article about some recent events in North Carolina that are an affront to the concept of freedom of speech. 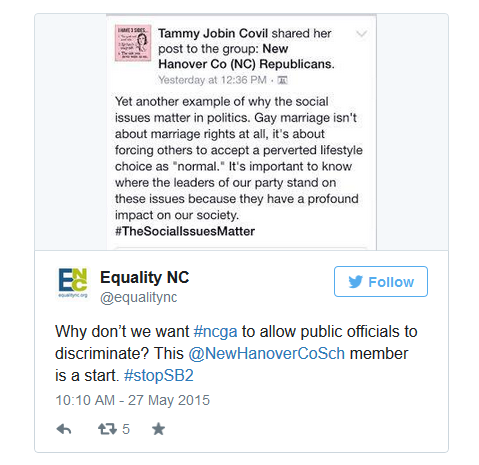 Recently New Hanover County school board member Tammy Covil posted an opinion on a closed Facebook page. She posted this on a Facebook page that was supposed to be for a closed group. It is her personal opinion. Obviously it does not agree with the person who replied at Equality NC, but are they both not entitled to their opinions? The left sees Covil as a big problem. She is serving on the state’s Common Core study commission. My New Hanover sources tell me she is a possibility for superintendent of the school district there. The lynch mob has already set up a Facebook page aimed at shutting Covil down. If you live in New Hanover County, do what you can to help this woman out. If you don’t live there, talk to any of your friends who do. Donate money to her campaign. Leaders like Tammy Covil — who dare to stand firm on their principles — are our only hope for saving our society, our culture, and our country. Regardless of where you stand on the issue of gay marriage, there is no reason to shut down free speech on the issue. Ms. Covil is a conscientious person who is doing a good job in her role as a New Hanover County School Committee member and as a member of the Common Core study commission. What she said, essentially, is that she holds a Biblical view of marriage. She is as entitled to her belief as those who oppose her are to theirs. The difference is that she is not trying to shut down their right of free speech.